In today’s fast moving world, software designers are being asked to automate the decision making processes by putting business rules front and center and not hidden behind layers of software coding. A Decision Table represents multiple related business rules by using conditions, actions and data values in a spreadsheet-style table. The Decision Table uses columns for the Conditions and Actions for the business rules and rows to represent the associated data values. Decision Tables turbocharge business rules and processes within your Dynamics 365 system. 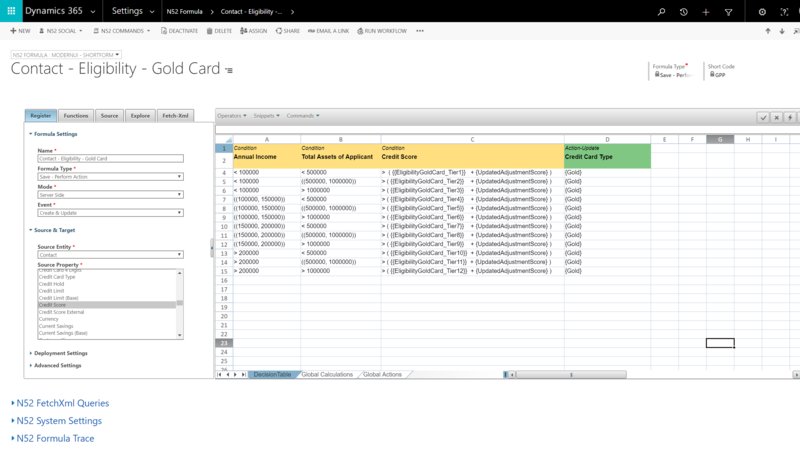 The creation of the Decision Table along with its execution all lives within Dynamics 365/CRM so there are no additional servers or components required. It’s clean, crisp and easy to use for all. This Decision Table shows how you can represent many business rules in a single spreadsheet table. 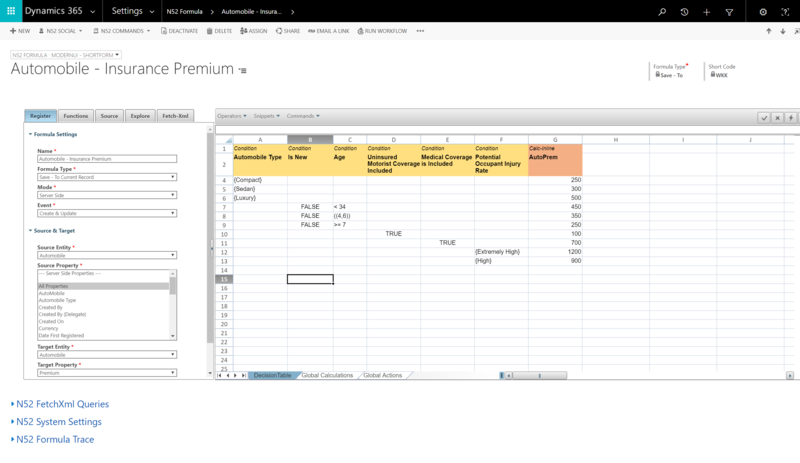 The sample calculates the insurance premium based on a set of inputs. For example, if you had a 5 year old Sedan car and wanted Medical Coverage then the insurance premium would be: 300 + 350 + 700 = 1350.